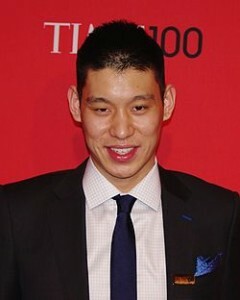 Jeremy Lin, a former Harvard athlete, is now a global sensation. Linsanity is the new Tebowmania (photo credit: David Shankbone). Did you really think that we wouldn’t post about the Harvard athlete who is dominating the headlines around the world? It’s not like we haven’t written about Mr. Jeremy Lin before. If you’ll recall, we wrote about the Harvard grad back in July of 2011! At Ivy Coach, we like to be ahead of the trends. Jeremy Lin, the recent Harvard graduate who has captured the attention of basketball fans around the world, indeed speaks to the American Dream. Overlooked by all Division I basketball programs that offer athletic scholarships (the Ivy League, while Division I, does not offer athletic scholarships), Jeremy Lin was an absolute sensation in Ivy League basketball play. But it wasn’t enough to get drafted by the NBA. That didn’t stop this Ivy League athlete. After walking onto his hometown team, the Golden State Warriors, it seemed like Lin might well be able to eke out a few years on the bench in the NBA. But then he was waived. And subsequently waived by the Houston Rockets. The New York Knicks signed him as a third-string point guard, behind the injured Baron Davis and the elder statesman Mike Bibby. The Knicks didn’t know what they had! Given a temporary shot at the starting job, Lin lit up Madison Square Garden as fans chanted “MVP!” He scored 25 points, 28 points, 23 points, 38 points, and 20 points while dishing out around 8 assists a game! And who did he score 38 against? Kobe Bryant’s Lakers! Stories like this just don’t happen in professional sports. Too many folks get paid to scout. They get paid to know that they have a superstar riding the pine. And not only is this an incredible story of an underdog basketball player from the Ivy League who happens to be a phenomenon ala Tim Tebow on the gridiron, he also happens to be one of only a handful of Asian American players to have ever made an NBA roster! And he’s the first Asian American to start an NBA game! We’ll be writing much more about Jeremy Lin in the days and weeks ahead but we wanted to give you a little appetizer of this global sensation out of Harvard University! This Ivy League athlete sure did make good and make his mommy and daddy proud of him. So all you Tiger Moms out there, we imagine you’ll be following him closely.